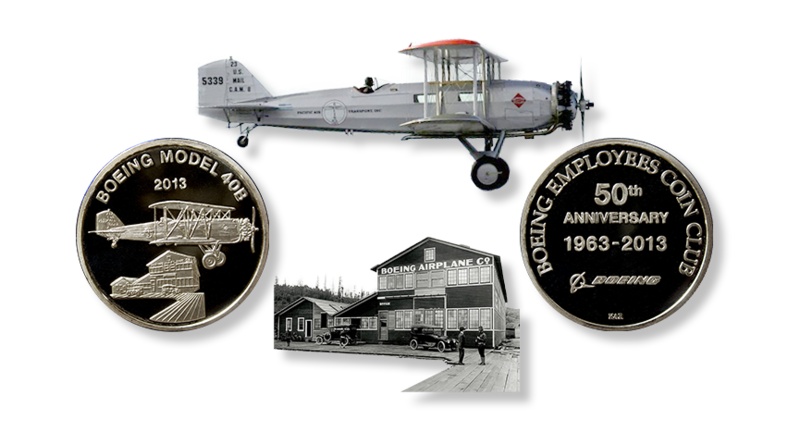 This is the official web site of the Puget Sound (Seattle) area Boeing Employees' Coin Club. News items and editorial comment in this web site do not necessarily reflect the views and opinions of The Boeing Company. The BECC meets the 4th Wednesday of each month (see club announcements or upcoming club events below). Meetings are open to all Boeing employees, retirees and other eligible persons as defined by Boeing Recreation. 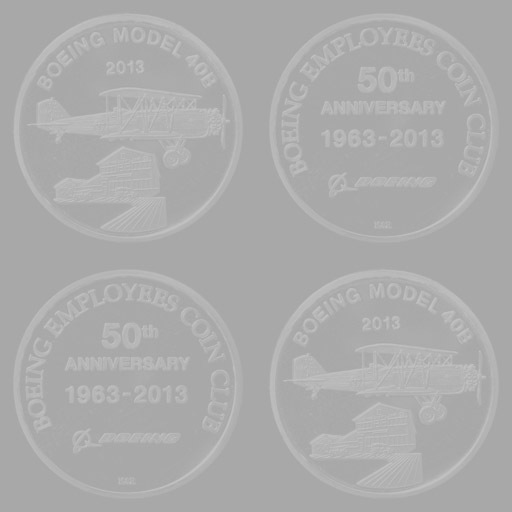 Mailing address: Boeing Employees' Coin Club (or B.E.C.C.) c/o Greg Smith, P.O. Box 6314, Kent, WA 98064. 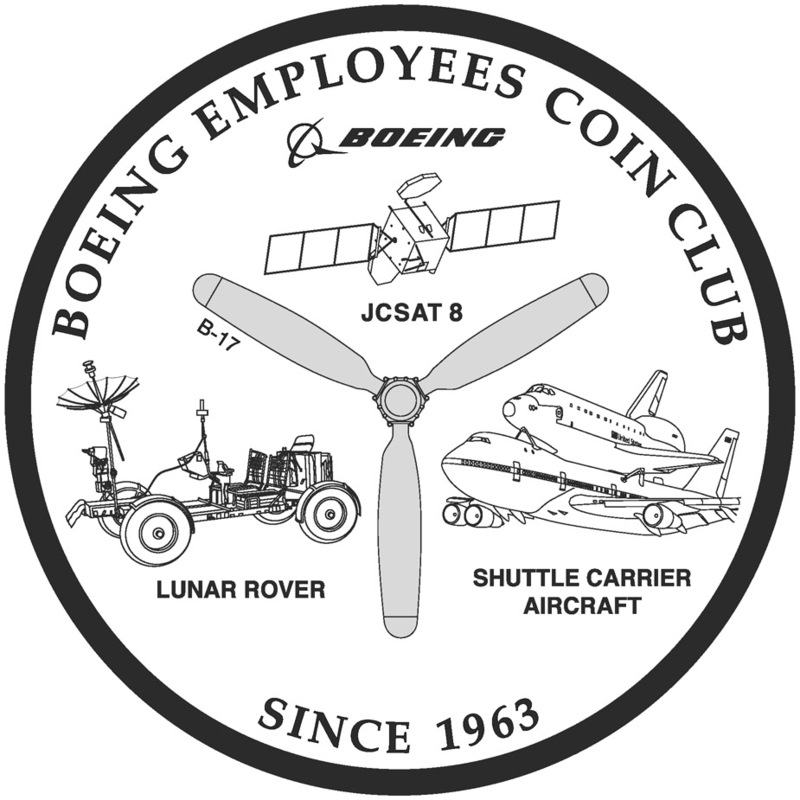 The Boeing Employees' Coin Club (BECC) is one of the most active coin clubs in the Pacific Northwest region. 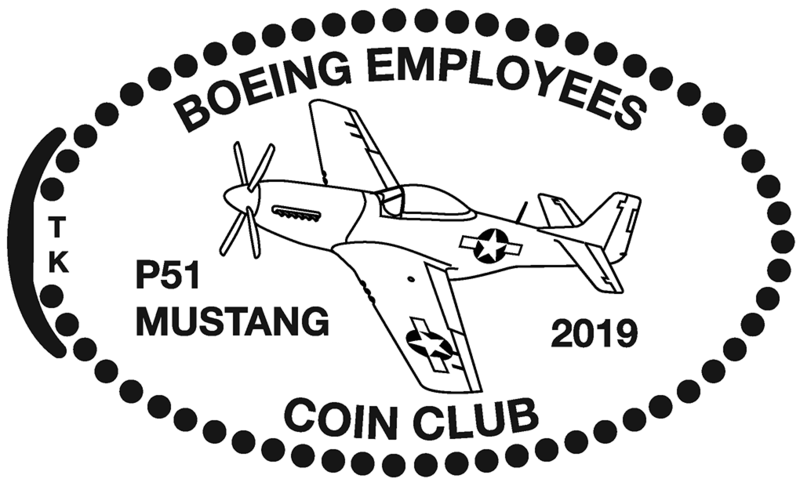 Per the BECC Constitution and Bylaws, "We, the Boeing Employees' Coin Club, are organized in a spirit of friendliness and good fellowship to share the pleasures of coin collecting." The BECC also contributes to the objectives and purposes of the Pacific Northwest Numismatic Association — "to promote, extend, and protect the interests of numismatists and numismatic activities throughout the Pacific Northwest and to foster and encourage the study of numismatics in all its forms." 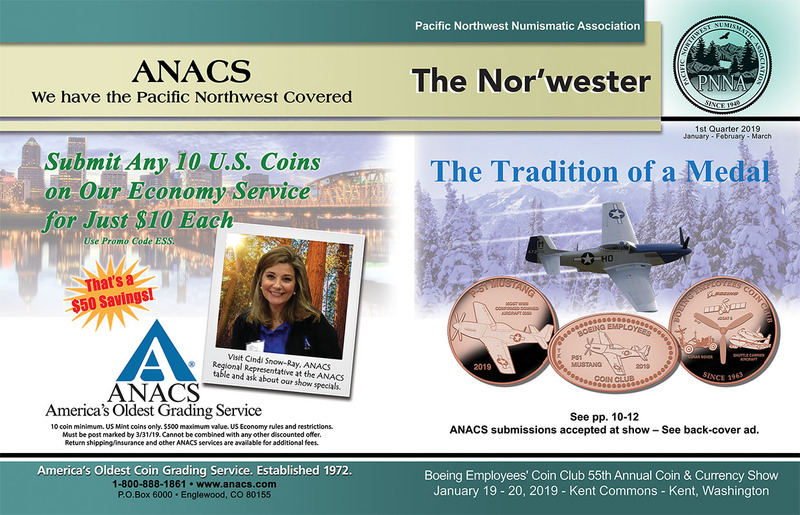 The BECC publishes a monthly newsletter (the BECC News), holds an annual coin show in January, mints an annual commemorative medal featuring a Boeing product, and promotes numismatics through special programs and activities such as the numismatic display at the Washington State (Puyallup) Fair each September. The B.E.C.C. is an IRS 501(c)(7) non-profit organization. See list of BECC officers. See old news items previously appearing on this home page. It's Over! - See you again in 2020. Note: See below for elongated cent design for January 2019 coin show. Wooden nickels with the 2019 medal design were also available. Copies of the PNNA quarterly publication, The Nor'wester, were available for free at the show. This special edition features an article about the BECC annual club medals! See the main coin show webpage. See 2019 coin show photos and report. See 2019 coin show collector exhibit photos and report. See displays and exhibits page for collector exhibit information. See 1st Q 2019 Boeing Employees' Coin Show edition of The Nor'wester. 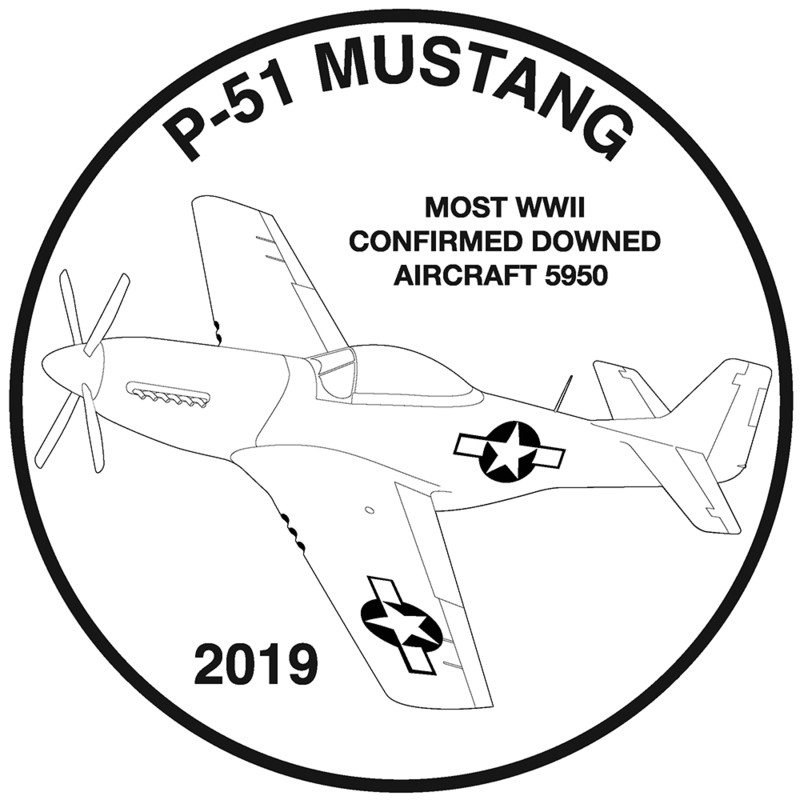 2019 Medals feature P-51 Mustang! 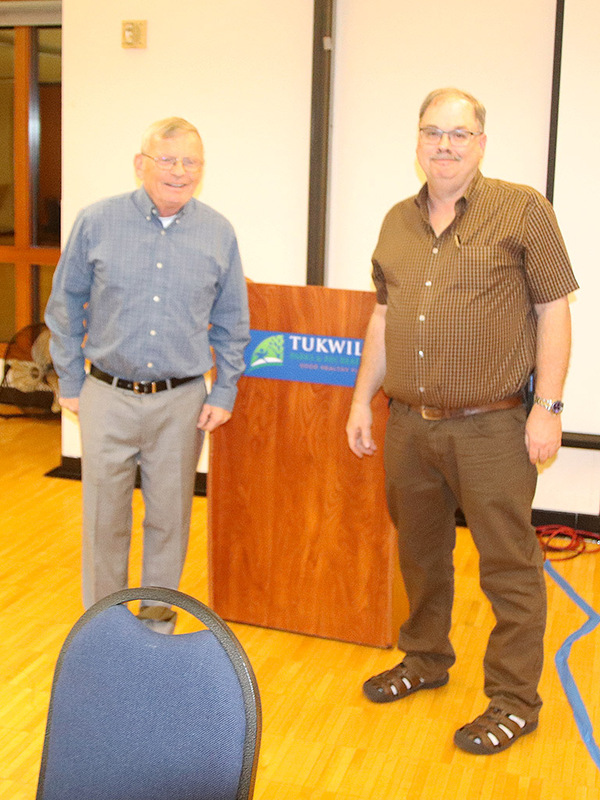 - At the May 2018 meeting, Tom presented important statistics on World War II P-51 Mustangs & Aces. Craig made a motion that the 2019 club medals depict a P-51 Mustang, which was accepted. For updates, quantities and shipping information, please see the medals page. Club members could find an order form in the September and October 2018 newsletters, and/or at the October banquet. Jim Payne Memorial Award! – Congratulations to Craig Sheldon, who received the prestigious Jim Payne Memorial Service Award at the club's 2018 annual banquet in Tukwila. See the banquet page. Photo: Craig Sheldon (at right) receives the award from 2017 recipient Tom Koch (at left). Craig has been very actively involved with the Everett branch of the BECC, otherwise known as the Widebodies Chapter. YNs Win Literary Awards! Brothers Ben and Alex M. have once again won awards in the American Numismatic Association (ANA) literary competition for Young Numismatists (YNs). In 2018, the brothers won 2nd and 3rd places respectively in the David Bowers Young Numismatist Literary Award, Ages 13-17 category. Ben won $200 and Alex won $100 to spend at Whitman Publishing. Alex’s winning essay “The Revival of Local Currency in Japan” is published in the June and July issues of the BECC News. Ben’s winning essay “Five Reforms, Eight Years: The Coinage of China’s Emperor Wang Mang” was published in two parts in the August and September issues of the BECC News. Both Ben and Alex were thrilled to be presented their awards in person at the ANA Summer Seminar. Many congratulations to both of them! The BECC has won the PNNA Literary Award for Best Club Newsletter twice - in 2013 and 2017. See the old news page and the PNNA's page for this award. Current and Upcoming Club Events! Everett Meeting (Widebodies Chapter)! See monthly meeting announcements for more details and future meetings on the 3rd Monday of each month at IHOP. Current and Upcoming Regional/National Events! BECC Annual Coin Show! January 19-20, 2019 (see above). BECC Annual Banquet! October 24, 2018 at Tukwila Community Center. The speaker was Leon Roberts, a retired Boeing test pilot. See the banquet page (includes link to report and photos). Washington State (Puyallup) Fair – August 31-September 23, 2018 (closed on Tuesdays and on 9/5) – The PNNA sponsors the annual coin exhibit in the Hobby Hall, with assistance from local coin clubs including the BECC. No volunteer is knowledgeable about all aspects of numismatics – if your question wasn't answered or if you were unable to attend the Fair, please e-mail your question to info@pnna.org, and it will be directed to a local expert for a response. 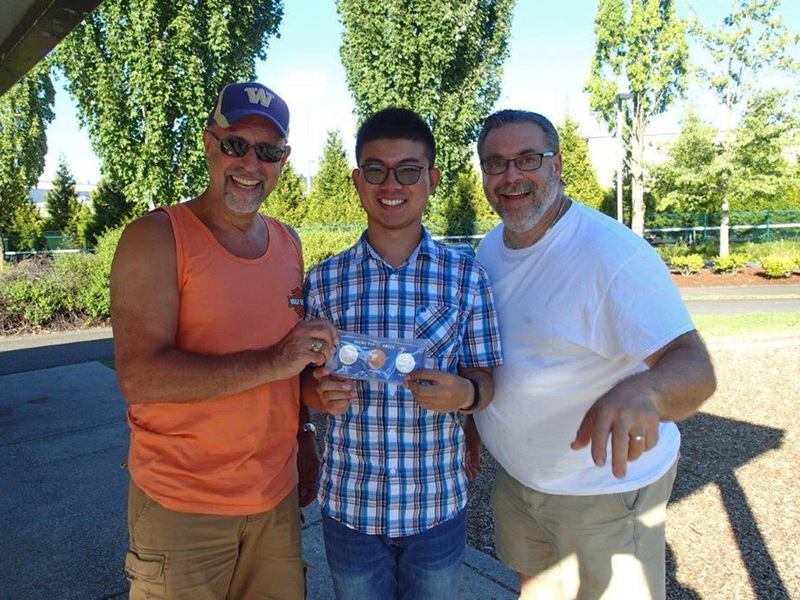 If you're eligible for the Boeing recreation program, you can also get many numismatic questions answered by attending a BECC club meeting, or the club's annual coin show. BECC Membership Picnic/BBQ, July 25, 2018 at the Cedar River Trail - Picnic Shelter, 1060 Nishiwaki Lane N., Renton, WA. See all the photos. See BECC monthly meeting announcements for completed monthly club meetings. Coin Collecting Consumer & Reference Information from the Pacific Northwest Numismatic Association. and the Pacific Northwest Numismatic Association web sites.